Maybe you have some good ideas for mobile applications and need a good team of professionals to carry out the mobile application development process. If you are lacking a fair knowledge of the industry or of mobile application development, the best way to begin is by writing up a good mobile app project − considering that you must describe your idea precisely and to the fullest extent − and thus acquire the most important element: the professionals that you’ll be needing to carry out the mobile application development process. Also, don’t forget that Yeeply can help you find all the professionals that you need to develop your idea into an app. For this, you just have to publish your app project. If you don’t know beforehand how much it may cost or even if your budget will be enough, you have to find out how much developing an app costs first. We advise you to visit www.cuantocuestamiapp.com for this purpose, a website with a simple online calculator with which you can obtain an estimate of how much your mobile application will cost. Once your project is well defined, you will begin to receive estimates and proposals from application developers and other professionals involved in the mobile application development process. At this stage, you will be able to build up a team of experts made up of freelancers who respectively master different areas. Another option at your disposal is outsourcing the app’s development completely to an already existing app development team. The final decision will always be yours to make. Writing up a good app project is the most important thing when creating a mobile application. Sometimes, despite having conceived a good idea, we may not know how to put our proposal into words and may need an expert’s advice regarding some basic matters. Among the professionals that we’ll need to develop mobile applications, we already come across at this early stage with a key figure: the Project Manager. The concept’s definition: you will need a Project Manager or a mobile industry specialist for defining − in detail and precisely − the concept on which your app will be focusing. It’s a task that you can take on yourself. However, we always advise you to outsource the task if you are not an expert and are not sure about how to assail it. The Project Manager will help you conduct a market research and establish your own business plan – both taking into account your rivals in the industry. These will result in finding the best way to monetise your app and obtain a return on the investment undertaken to develop it. When getting down to work − once your idea has been defined − you’ll have to find the professionals that you need to develop your app. The mobile application development stage involves three main teams. The Development Team: they will be taking on the workload of creating the app from scratch. Bear in mind that a native app will always be better than a web app, but it all depends on which kind of app you need. Your Project Manager will be able to advise you about what is the best option for your project regarding this matter. And, of course, don’t forget that the platforms on which you want your app to be available will also determine who will integrate your development team. If you want your application to be available on iOS, the team will have to include iPhone and iPad app developers. On the other hand, you might need Unity 3D developers if you’re dealing with a mobile game or an advergaming app. Also remember that you’ll need to have some sort of agreement with the development team so that they take charge of providing technical support and of improving and updating the app once it’s finished. Let’s focus once again on a key figure: the Project Manager. This kind of professional is vital in a mobile application project for managing its outset and its progress and for ensuring that the entire process is carried out as was foreseen at the very beginning. 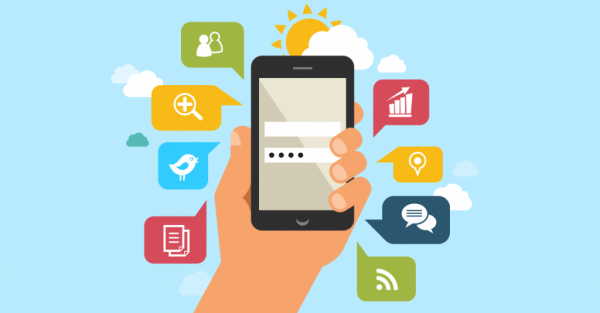 Yeeply − as an expert in this industry and in mobile application development − will provide you this professional key figure to accompany you along the entire process. The Design Team: design is always one of the most important parts in a mobile app − in addition to the app’s proper development and subsequent operation. Experts in app design are another group of professionals that cannot be missing in a mobile app project. Many people entrust an app’s design to programmers. However, the truth is that having a designer in charge of optimising your mobile app’s design can make the whole difference between success and failure. It will always depend on the kind of app, but the mobile application development process will usually be the longest stage and the one taking the largest amount of time to be carried out. But relax! The app will have to sustain all kinds of operational tests and many errors that may have sneaked out of being detected at a first stage will now have to be corrected. Note that we don’t want any error to be lingering about in our mobile app when we launch it to the market. It will now be high time to start preparing the launch stage. This stage requires a big load of work to be accomplished before we can upload our app to the stores. This workload encompasses tasks that range from positioning well our app within the stores through ASO to conceiving on-line and off-line marketing campaigns to make our app more widely known. We also have to obtain downloads, analyse our mobile users and promote customer loyalty. Let’s see who will be a member of your app’s marketing team. The Marketing Team: your app’s marketing and advertising manager will have plenty of tasks to fulfil before the app is launched. However, he will also be necessary throughout your app’s life. In the same way as the technical service is needed after the mobile application development process has been accomplished, we also need to have a marketing team in place after the app’s creation to keep the app growing and ensure that it continues being downloaded and used. Depending on the kind of app you are developing, you’ll have to look for different app marketing professional profiles. The mobile marketing specialist: the main task of this expert consists in positioning the mobile application to generate downloads from potential customers/users. Similarly, he will also be responsible for ensuring that the app succeeds. Remember that focusing solely on app development is not enough: you also need to have a good mobile marketing strategy. The communication specialist for building up a community: some apps will require building up a community and generating a big amount of content to spread through the media, social networks and digital media to make this community grow. Any app that’s similar to Wallapop − a market of second-hand goods which needs to have a community in place to be able to work – is a good example of this kind of app.